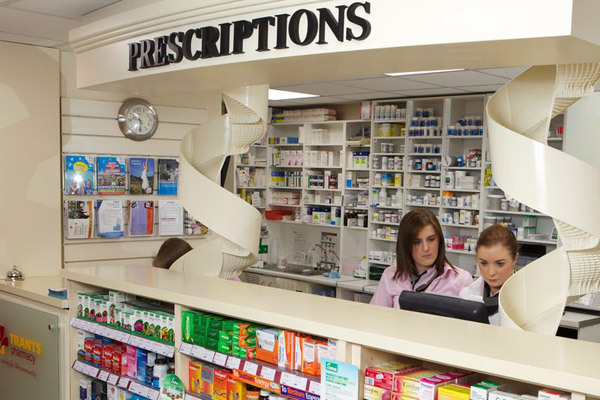 We offer a Prescription Service whereby repeat prescriptions can be left on file here with us. This way you can phone ahead and ask us to prepare your medicines for collection at a time that suits you - our opening hours are on our homepage. This helps cut down on waiting times and ensures that your prescription history is held in one pharmacy, facilitating everything from reprinting of receipts for tax claims to comprehensive interaction and clinical history checking. Trants Pharmacy strives to provide our valued customers with excellent service. If for any reason you are unhappy with our service, we do hope that you will tell us so we can put things right for you quickly. Please tell us too if you think there are ways we can offer you an even better service.